The Buffalo Bill Center of the West offers programs and learning opportunities relating to the Plains Indian Museum collections, including the Lloyd New Native American Arts Institute, artist-in-residence presentations, school programs, a self-guided Plains Indian Museum gallery trek, and gallery demonstrations. Learn More about our full offerings of activities on our main Learn” page. The Plains Indian Museum Powwow is one of our signature educational programs, offered each June. Please visit our Powwow page for more information. Men’s Traditional dancers at the 2010 Plains Indian Museum Powwow. Photo by Bud Schrickling. The Grand Entry ceremony opens each session of the powwow to bring all dancers together in the arena. The Plains Indian Museum hosts school classes and offers guided tours with advanced registration through our Education Department, and collaborates with the St. Labre Indian School to teach museum practices to students. In a collaborative program of the Buffalo Bill Center of the West and the St. Labre Museum Studies and Culture Classes, students from the St. Labre Indian School in Ashland, Montana, learn essential museum practices by working directly with objects in our collections. Five students participated in our 2012 program. Along with their instructor Cecilia Thex, students Cameron Russell, Brianna Toinetta, Bucky Old Elk, Dalen Littlebird, and Naomi Redfield learned about issues and practices in museum work through hands-on experience with our Paul Dyck Plains Indian Buffalo Culture Collection. 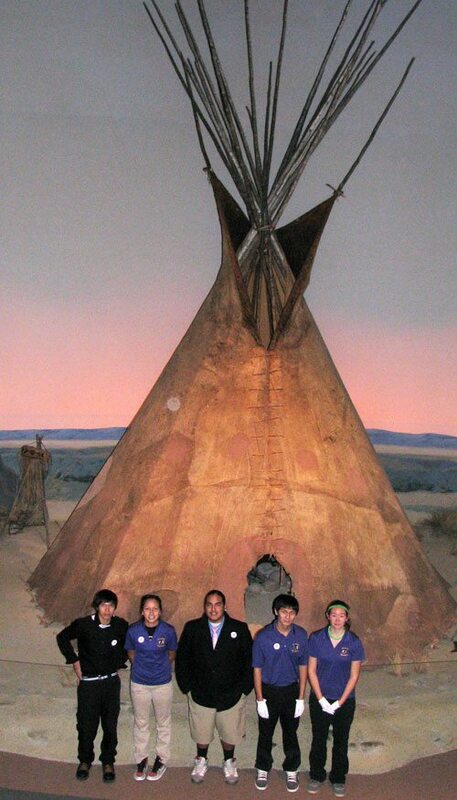 Here the group visits our 1850s-era hide tepee in the Seasons of Life Gallery of the Plains Indian Museum. Moccasins worked on by 2012 St. Labre students. 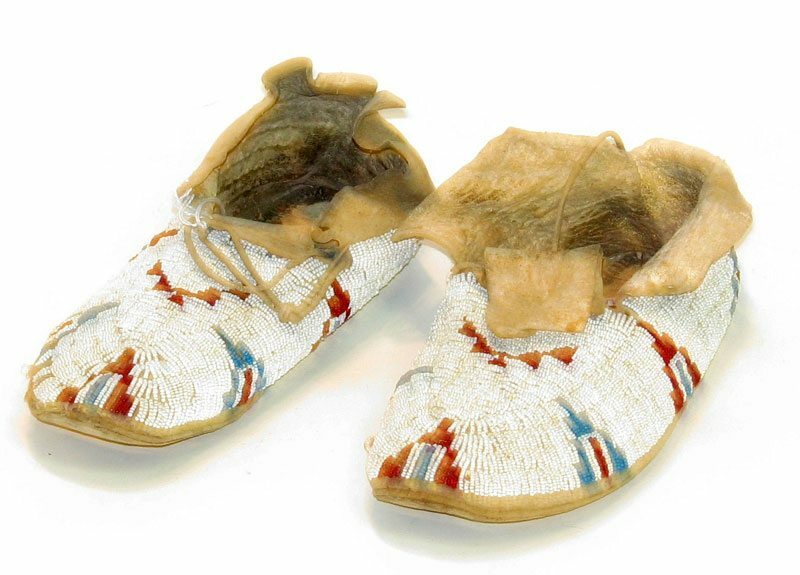 The students worked on this pair of moccasins as part of their training in museum practices.